Wrangler owners, we all know the challenges of taking the hardtop off of our Jeeps. It’s a pain, and when you’re by yourself, it’s pretty much impossible. 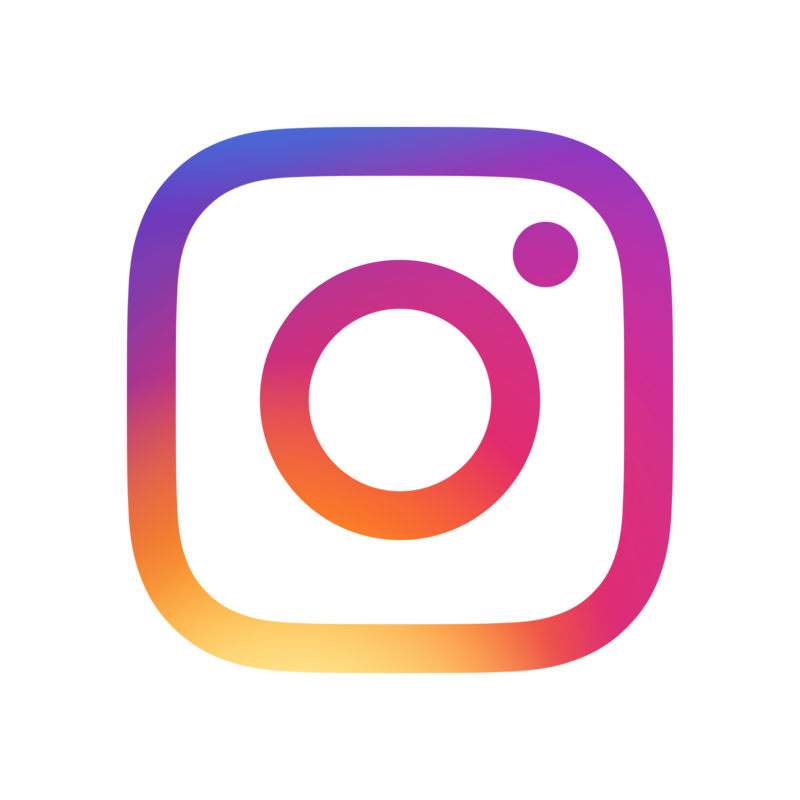 We’ve all seen the myriad of how-to videos on the internet that feature some crazy contraption that requires an engineering or physics degree to figure out the logistics of successfully developing a homemade Jeep hardtop hoist. Not to mention, you have to have complete blind trust and courage to trust putting the fate of your precious and expensive Jeep Wrangler hard top in the hands of such a janky contraption dangling from the ceiling. For those of you who have been fancying such an idea, it’s important that you know that if your homemade contraption was to fail on you by slipping, binding, or snapping — leading to your hardtop falling onto your Jeep, something else valuable in your garage, or even the concrete floor, and your hardtop cracks, you’re looking at replacing it altogether. This is because Jeep Wrangler hardtops can’t be repaired. They must be fully replaced, and this is no cheap matter, as you probably know as a Jeep owner, setting you back about four grand. With that being said, don’t take a risk with your hardtop. Give it the safe storage it deserves along with less hassle for you. 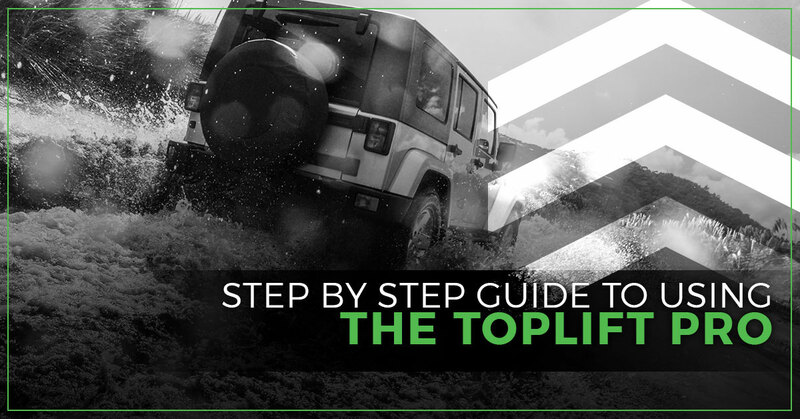 If you’re curious about how easy it is to use our TopLift Pro for your Jeep Wrangler, we’ve outlined the step by step process for how it’s done — all in a matter of minutes. 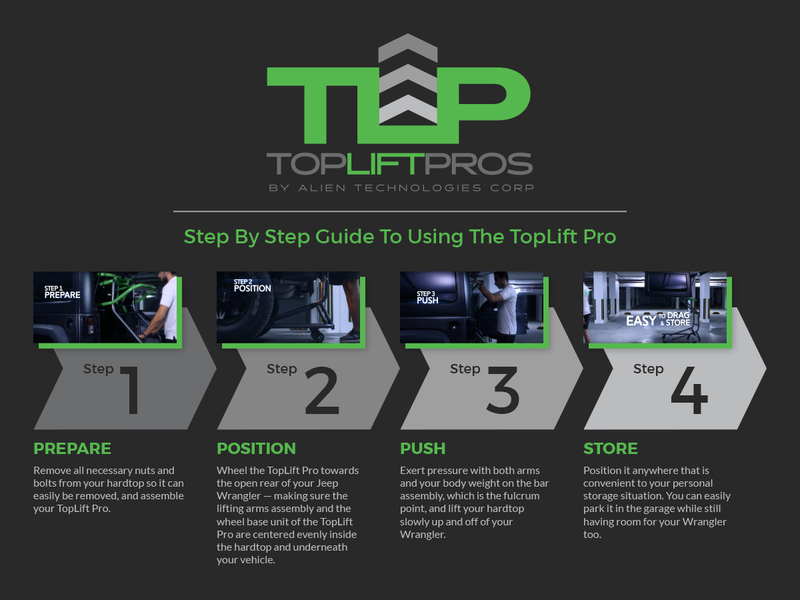 After you’ve assembled your TopLift Pro, simply wheel it towards the open rear of your Jeep Wrangler — making sure the lifting arms assembly and the wheelbase unit of the TopLift Pro are centered evenly inside the hardtop and underneath your vehicle. Now exert pressure with both arms and your body weight on the bar assembly, which is the fulcrum point, and lift your hardtop slowly up and off of your Wrangler. Once you’ve successfully lifted the hardtop off your Wrangler, slowly back up pulling the TopLift Pro back with you away from the Jeep. To store your TopLift Pro and hardtop, simply position it anywhere that is convenient to your personal storage situation. You can easily park it in the garage while still having room for your Wrangler too. When you’ve had enough fun in the sun and hopefully out on the trails, and you’re ready to put your hardtop back on, it’s just as simple. Center up your TopLift Pro wheelbase unit underneath your Jeep just as before or simply line up your hardtop with where it attaches to your Jeep. You can then push down slightly on the bar assembly to unlock the latch holding your top in the air and slowly allow the bar to raise up — lowering your hardtop back down onto your Jeep.